ESCRIBA AG is the leading provider of technology for the digitisation of document-intensive processes. The software allows users to create high-quality and individualised documents in any digital or analogue form, as well as to control processes through simple means. 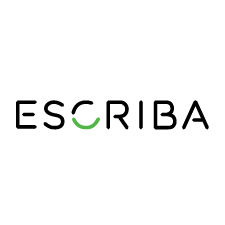 The ESCRIBA software can be used in various business areas: ESCRIBA can digitise and simplify processes in Sales, Service, Human Resources, Finance, Controlling or the Legal Department. Our code base is huge, and it takes on the average six months for new colleagues to start understanding the full scope of our software. Therefore it was imperative to us that our nearshoring partner secures our knowledge-transfer investments by providing us with dedicated development teams, which do not rotate on different projects but work exclusively with us. InterVenture convinced us, as the Own Team Model reflects precisely this way of dedicated long-term development cooperations. The Belgrade team is an equal partner to the Berlin team in technical decision making and engineering of new ideas. Over time, our suggestions are growing in importance, and the impact of our solutions has become critical for the development of future versions of the software.